Chanukah: Did the Jews Really Defeat the Greeks? Chanukah is perhaps the most famous of Jewish holidays. 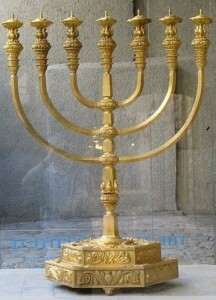 The nine-branched candelabrum, the chanukiah, is instantly recognized by people around the world. One reason for this is because of the halakhah of pirsumei nissah, literally “publicising the miracle”. Although just about every Jewish holiday revolves around some kind of miracle, it is particularly with regards to Chanukah that there is a special mitzvah to publicize its wonder. 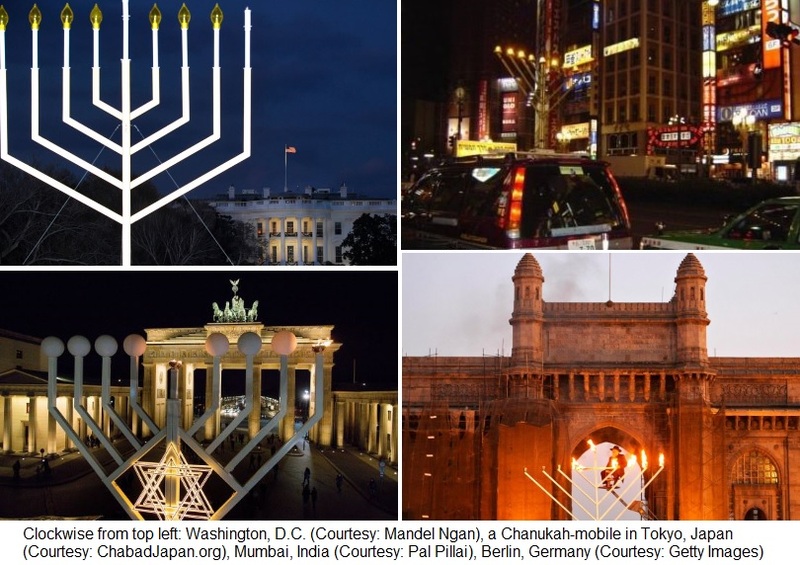 And so, one can find a glowing, public chanukiah on display in pretty much every major city on the planet. The purpose of the chanukiah is well-known: after defeating the Greeks and recapturing Jerusalem, and its Holy Temple, the Jewish warriors led by the Maccabees discovered only one cruse of oil for the Temple menorah (this one with seven branches, as the Torah commands). Although the oil was meant to last only for one day, it miraculously burned for eight, the amount of time necessary to produce a fresh batch of olive oil. This is the story as recounted in the Talmud. However, the more ancient Book of Maccabees (which is part of the apocrypha, scriptural texts that did not make it into the official Biblical canon) provides a different reason for the eight-day festival. Here, we are told that since the Temple was still in the hands of the Greeks two months earlier, the Jewish nation was unable to celebrate the Torah festival of Sukkot. Of all the Torah-mandated holidays, Sukkot is most associated with the Temple, and was celebrated with many offerings on the altar, along with water libations, and eight days of revelry. Since the people were unable to commemorate Sukkot properly in the month of Tishrei, they decided to commemorate it in the month of Kislev instead, now that the Temple was back in Jewish hands. So, they kept an eight-day festival, with offerings, libations, and revelry, both in honour of the belated Sukkot, and to celebrate their victory over the Greeks. Chanukah is a beautiful underdog narrative. The mighty Syrian-Greeks (better known as the Seleucids, to differentiate them from the mainland Greeks in Europe) are imposing their Hellenism upon the conquered and impoverished Jewish people, still struggling to rebuild after the decimation of the First Temple period. The Greek king, Antiochus, demands the sacrifice of a pig upon a Jewish altar, and the Jews refuse. Well, at least some of them do. At the time, there were many Hellenized, assimilated Jews among the masses that were very much okay with a pig on the altar. (It seems that history repeats itself: the first graduation ceremony in 1883 of Hebrew Union College, a Reform seminary, consisted of frog legs, crabs, and shrimp, among other non-kosher foods, earning it the nickname, “the treif banquet”.) Matityahu the High Priest wouldn’t have any of it, and together with his five sons—soon to be known as the “Maccabees”—started a revolution. More than anything else, this was a civil war between traditional Jews and the Hellenized ones. Of course, the Hellenized Jews had support from the Greek government, which soon brought in some 60,000 troops, together with war elephants, according to the Book of I Maccabees (4:28-29). The Maccabee forces managed to scramble 10,000 mostly-untrained, guerrilla warriors. Ultimately, the 10,000 overpower the professional Greek army. The Seleucid Empire would never be the same again, and less than a century later, would totally come to an end. Today, the Chanukah story often carries the same message: the Greeks were materialistic, promiscuous, Godless people, while the Jews were moral, spiritual, and God-fearing. Chanukah, then, celebrates the triumph of righteousness over licentiousness, religion over secularism, spirituality over physicality. While the above description of the Seleucid-Syrian-Greeks may be true, it presents a false image of the Greeks as a whole, and one that isn’t at all consistent with traditional Jewish holy texts, especially the Talmud. In truth, the great Jewish sages of the Talmud valued and respected the Greeks. They stated (Megillah 8b) that it is forbidden to translate the Torah into any language, except Greek, which the rabbis considered a rich and beautiful tongue. The rabbis also adopted the Greek style of democratic government, with elected officials sitting on the Sanhedrin, from the Greek root synedrion, meaning “sitting together”. One of the earliest known synedrions was established by Alexander the Great, made up of representatives from across his vast empire to assist him in government. The Talmudic sages spoke highly of Alexander the Great. According to legend, Alexander saw a vision of the Jewish High Priest before coming to conquer Jerusalem. There are several versions of this story, but all agree that Alexander was grateful to the High Priest, and spared Israel from his destructive conquests (as well as from paying tribute, according to some sources). 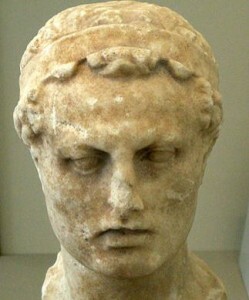 In turn, the rabbis adopted “Alexander” as an honorary Jewish name. Indeed, one of the sages of the Talmud is Rabbi Alexandri, and many other rabbis have Greek names, such as Hyrcanus, Teradion, Antigonus, Dosa, Papa, Symmachus, and Tarfon. These rabbis gathered in various learning academies across Israel and Persia (producing the Jerusalem and Babylonian Talmuds, respectively). Their academies were very similar to the Greek academy. In fact, the successors of a Greek academy spoke very much like the rabbis of the Talmud, quoting teachings from previous generations and debating them, while citing an uninterrupted chain of tradition all the way back to Plato, much the same way that rabbis cite an uninterrupted tradition back to Moses. Many of their modes of reasoning and dialectics were the same, too, even lesser-used forms such as gematria, another Greek word adopted by Judaism. The Greeks had also used their alphabet for numerology (an art that they called isopsephy). Greek traditions appear to have even found their way into Jewish holidays. In ancient Greece, families would get together for symposia, parties in which they would recount the history of Greece and its great victories. According to the Greek philosophers, it was best to drink three cups of wine at a symposium, while drinking five cups was considered excessive and inappropriate. Thus, most people drank four cups. They would lie on couches, specifically on their left side. Recounting history while drinking four cups of wine and lying on one’s left—sound familiar? Let’s not forget that afikoman is itself a Greek word (epikomon, literally “that which comes after” or “that which comes last”, referring to either dessert or the concluding festive songs). While the ancient Greeks certainly held onto a number of abhorrent beliefs and practices, to suggest that all the Greeks were atheistic, unjust, or not spiritual is certainly untrue. Socrates was killed for criticizing Athenian injustice, Plato preached how illusory this physical world is, and Aristotle described metaphysics and theology as the “first philosophy” and most important of subjects. One of the earliest known preachers of reincarnation was Pythagoras, who also wrote of three souls, much like the Jewish conception of nefesh, ruach, and neshamah. Nor is it a secret that some of the angels mentioned in the Talmud bear Greek titles, among them Sandalfon and Metatron. So, did the Jews really defeat the Greeks? We certainly defeated the immoral and oppressive Seleucid Greeks in battle, but definitely not the Greek spirit as a whole. In fact, some might argue that Judaism is the best preservation of ancient Greek culture in the modern world! Whereas the rest of society has moved on to other methods of education, we still have a yeshiva system like the ancient Academy. While others celebrate their holidays with gifts and formal dinners, we gather in symposia, reliving the words of our sages, who openly bore their Greek names. And of course, while most of society is primarily concerned with what’s happening on television, we’re still trying to be philosophers, debating the finest points of reality. The Greeks had a profound impact on all of civilization, and Judaism was not immune from it. Perhaps this is why, over time, the holiday became less about defeating Greeks and more about the miracle of light. Chanukah is a holiday celebrating Jewish resilience, and symbolizing the power of light over darkness, and hope over despair. It is a lesson in resisting assimilation and being true to ourselves; in standing up for what’s right and upholding our customs; and most importantly, in the longest, blackest nights of winter, Chanukah teaches us that although the world may be full of evil, one tiny flame can break through all the darkness. This entry was posted in Archaeology & History, Holidays and tagged Academy, Afikoman, Alexander the Great, Ancient Greece, Angels, Antiochus, Apocrypha, Aristotle, Athens, Babylon, Book of Maccabees, Chanukah, Chanukiah, Civilization, Darkness, Festival of Lights, Gematria, Greece, Greek, Hellenism, High Priest, Isopsephy, Jerusalem, Kislev, Light, Maccabees, Matityahu, Menorah, Metatron, Names, Numerology, Passover, Philosophy, Plato, Pythagoras, Sandalfon, Sanhedrin, Seder, Seleucids, Socrates, Sukkot, Symposium, Synedrion, Syrian Greeks, Temple, Tishrei, War Elephants, Yeshiva on December 3, 2015 by Efraim Palvanov.